The controversial governor says he should be judged by his inner circle. Fair enough. Even before Chris Christie’s traffic troubles took the shine off his presidential prospects, Wisconsin Governor Scott Walker was moving to position himself as an acceptable alternative for Republicans who might still be thinking that a governor would make a good 2016 nominee. But in January, as attention was turning toward him, Walker got more specific. “There are similarities between a governor and a president,” he explained. Just as Christie did in January, Walker has responded to the release of controversial e-mails from an "inner circle" of top aides by suggesting that he did not know what was going on around him. But the people both men put in positions of authority and public trust certainly did know. When he was bidding for the governorship of Wisconsin, Scott Walker selected aides who have since been convicted of engaging in illegal activities, disregarding the trust and the responsibilities that are supposed to go with public positions. At the same time, their communications included slurs on women, people of color, gays, Jews, immigrants and people with disabilities. The release of 28,000 pages of e-mails and more than 400 legal documents associated with the John Doe investigation that led to the arrest and conviction of aides who served with Walker when, as the Milwaukee county executive, he was seeking the governorship. In addition to doing campaign work on public time—a theft of taxpayer funds—Walker’s aides circulated e-mails that portrayed poor people and African-Americans as dogs. One top aide referred to the image as “hilarious” and “so true.” Another top aide used his e-mail account to circulate an e-mail that mocked racial and ethnic minorities, as well as gay men and people suffering from AIDS. 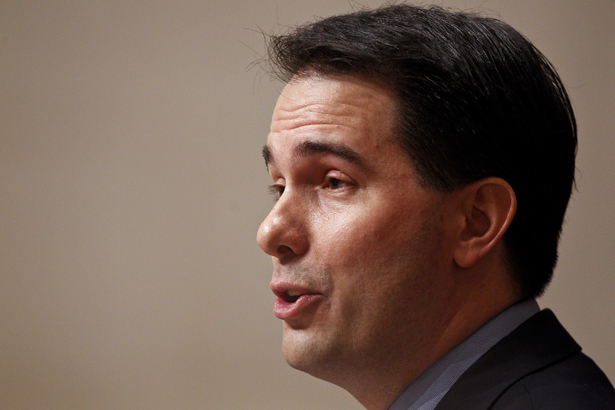 Walker’s aides rarely held back. Discussing an incident in which a woman died of complications related to starvation she experienced while committed to the Milwaukee County Mental Health Complex, Walker and his aides communicated with one another about how to keep developments in the tragic story under wraps until after the 2010 gubernatorial election.